When was Gauche the Cellist first written? Gauche the Cellist was one of Kenji's final works, and it is thought that he wrote this in 1931, when he was about 35, two years before he died. Is this set in Japan? If not where is it set? France? The settings for Kenji's stories is a dreamland known as Ihatov. The following are the notes for Gauche the Cellist. 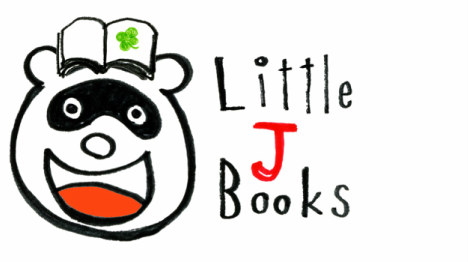 Please note that the target audience for stories published by Little J Books are from young kids through to adults, so wherever possible we have chosen words that allow the young reader to follow the story with the greatest of ease, as we believe Kenji would have preferred. In the first draft of this story, the protagonist wasn't given a name, but was simply referred to as the cellist. This was later changed to Tisch (ティシュ), rubbed out and replaced with Gober (ゴーバー) and this was rubbed out and replaced with Gauche (ゴーシュ) which is a combination of the two sounds. Gauche in French is a word that can mean awkward or clumsy, which is a very suitable name for the protagonist here, and although Kenji was a man who was very knowledgeable on languages, it is a matter of conjecture as to whether this was his intention or just a coincidence. Kenji owned a cello of his own and took lessons from a renowned cellist in Tokyo on several occasions, but rumor has it that he was never very good. One of Kenji's friends was a man named Katoji Fujiwara who played in a local orchestra. Because Kenji's family were quite well off, Kenji was able to afford the most expensive cello that was available at the time. However, after he had a long spell at home battling pneumonia, he swapped cellos with Fujiwara. Fujiwara's had a hole in the body of the cello and it is thought that Kenji modeled Gauche's cello on Fujiwara's. Five days before the end of World War II (12 years after Kenji died), Kenji's family home was bombed and that cello was destroyed. By good fortune Kenji's original cello was with Fujiwara and survived the bombing and is now on display at the Kenji Memorial Museum. However it is important that a cello of such good quality continue to be played so there is talk of using it for a concert every now and then. At the time this story was written, sound in films was still relatively new, and it was common for films being played in large theaters to be accompanied by large orchestras. In his younger days Kenji was an avid movie-goer and when in Tokyo would often visit multiple theaters in a single day in search of films starring his favorite actors. He would often go to the theater with his brother Seiroku, who was seven years his junior. 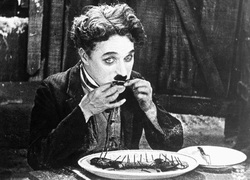 In his book My Brother's Trunk, Seiroku says: "The actor I am most grateful to for their influence on my brother and I, from when we were very young right up until today, was Charlie Chaplin. He was always walking out in front, waddling like a goose, making us laugh, while portraying a deep sadness at the same time. He taught us what comedy and art really was." Here, it is likely Kenji had in mind Beethoven's Symphony No. 6 – the Pastoral Symphony. Kenji was a passionate collector of records and Beethoven's Symphony No. 6 was one of the first records that he purchased, and although he gave away many records after listening to them only once or twice, he held onto this one until his death. Interestingly, after first hearing Beethoven's Symphony No.5 (in Japanese commonly referred to as 'Destiny') at his cousin's house, Kenji is reported to have referred to it as, "...a magnificent expression of the destinies that visit us time and time again." According to his brother, this was a watershed moment for Kenji where he decided that from then on he would write as if he were a composer writing music, using words in place of notes. Here the original text refers to a farrier, which is a blacksmith who makes horseshoes. Here decchi can mean shop boy or apprentice. In Kenji's day an apprenticeship in a merchant store would involve a young boy living in the same house as their employer and helping out with all of the work around the store. As a keen enthusiast of classical music, Kenji often went to watch different orchestras perform. However classical music in Japan was still in its infancy at this time, having only been introduced during the Meiji Restoration which began in 1868, so the quality of performances would have fallen well short of European standards and this is probably one of the factors that inspired Kenji to write this story.